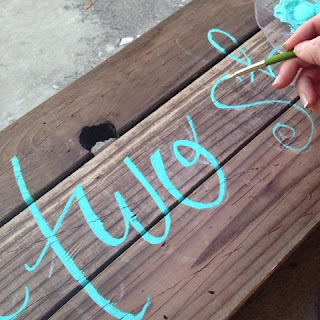 Here’s a few updates of what I’ve been lettering lately….. These 3 12″ squares are going over a set of french doors in a family room. 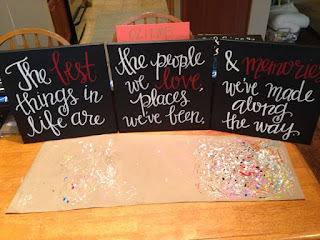 Every time I paint I think about the words….where they will go in a space and what they mean….it is truly a privilege to create words for home and to gift. 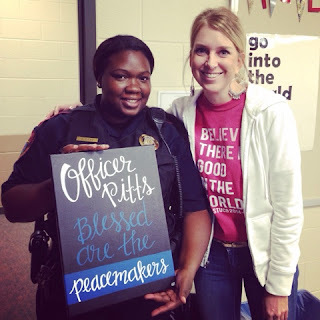 Our school officer saw the Asst Principal canvas and wanted one too. Since I’ve created 7 more of these for ISD officers. I gave this to her on 9/11, also my last day at school, and was just reminded again the sacrifice First Responders make on a daily basis from streets to schools. Thankful for them and again, honored so many have asked me to create for them. Sweet little Oliver. I love seeing pieces in their places! 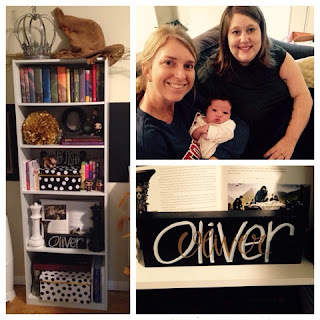 His name block (4″x 12″) is on a bookshelf in the cutest Harry Potter themed nursery. This little one is special, I babysat his Mama starting when she was 6 weeks old! I love itty-bitty-tiny-newborn babies!! 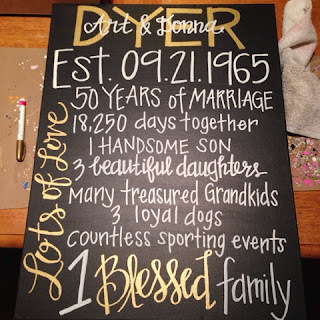 Speaking of families, this canvas (18″x24″) was for a 50th Wedding Anniversary that was a surprise. I loved the numeric counts on this representing years and family, but also the countless memories, blessings and love they have. 50 Years is a legacy, and so thankful for those who persevere together through life’s ups and downs, they are a role model for us all! And, this is a sneak peek for a bride who’s getting married this weekend! They will be married in an outdoor ceremony and this is a piece to their decor. I can’t wait to see it all together. Finished pic coming next post! A couple more projects are in the works and I’m always taking orders. 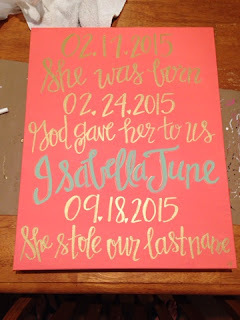 Remember for ideas and previous posts click (here) to Lettered Art on the blog homepage. Hi Angie – Happy Fall! And October! 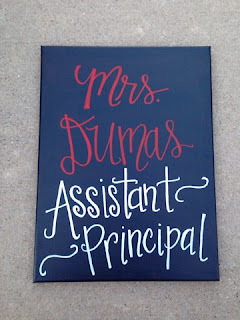 You do beautiful lettering/artwork. How long does it take for your average piece? I make jewelry as a hobby, and some designs come really fast/easy, and some I have to fiddle with the beads over and over again. Thank you for your kind words and prayers on 9/21 when I was feeling down and low and alone… I felt them! Woof to Mr B, too! I can totally relate to being stumped, the Audrey canvas took me a long time this summer, but others, like your beading, come quickly! I did start the new job and thank you for the prayers. I love the job, and the commute is getting better! Have a great Friday and weekend ahead, praying peace for you, even in the silent.